The ARRL Weekly News Podcast is carried weekly on the N4LMC 442.650 repeater on Sunday evenings beginning at 19:30/7:30PM ET, It generally lasts 15-20 minutes and is split into 2.5 minute segments with a 20 second break between each segment. Each segment will “rewind” a few seconds when it starts so that you don’t miss anything. 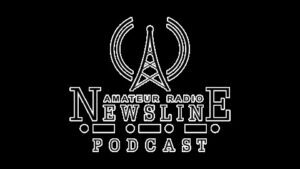 The Amateur Radio Newline is carried weekly on the N4LMC 442.650 repeater on Thursday evenings beginning at 19:30/7:30PM ET, It generally lasts 15-20 minutes and is split into 2.5 minute segments with a 20 second break between each segment. Each segment will “rewind” a few seconds when it starts so that you don’t miss anything. Check our calendar for more!